SUNDAY, April 29, 2018 (HealthDay News) -- With summer comes the stings of bees and wasps, but one expert has advice on how to keep the pain to a minimum. "The first thing to do is to get the stinger out quickly," said Dr. Carrie Kovarik. She's an associate professor of dermatology, dermatopathology and infectious diseases at the University of Pennsylvania. "The longer the stinger stays in the skin, the more venom it releases, adding to the person's pain and swelling," Kovarik explained in an American Academy of Dermatology news release. If the stinger is still in your skin, remove it by scraping over it with your fingernail or a piece of gauze. Never use your fingers to remove a stinger because squeezing it can release more venom into your skin, Kovarik said. Then wash the area of the sting with soap and water, and apply a cold pack to reduce swelling, she suggested. Taking over-the-counter painkillers -- such as acetaminophen (Tylenol) or ibuprofen (Motrin, Advil) -- can help relieve the pain. And over-the-counter antihistamines can ease itchiness. Seek emergency medical help if you have signs of an allergic reaction, such as: swelling in the face, neck or other parts of the body away from the sting site; difficulty breathing; nausea; hives; or dizziness, Kovarik said. People with a known allergy to insect stings should talk to their doctor about carrying an epinephrine injector, such as EpiPen. 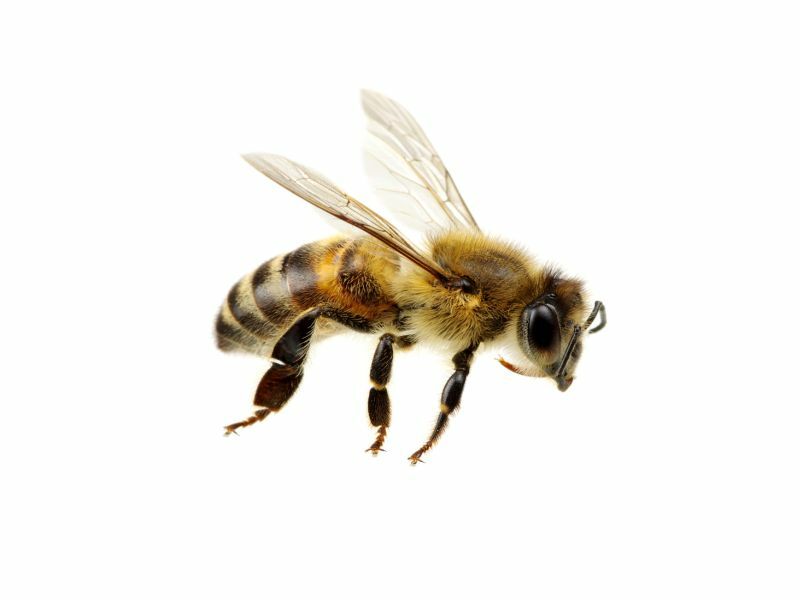 "Although most people do not experience severe reactions to bee stings, it's a good idea to keep an eye on anyone who has been stung in case they develop more serious symptoms," Kovarik said. And, she added, "If you notice any signs of an allergic reaction, or if you or someone you know has been stung multiple times -- particularly if he or she is a child -- seek medical attention immediately."